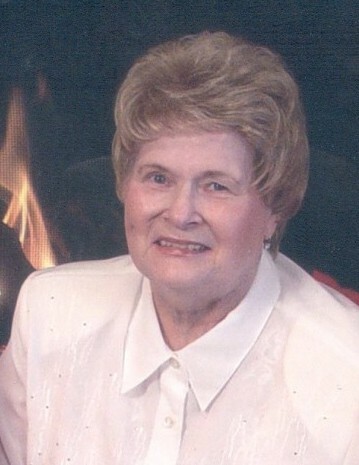 Delma Hollens, 90, of Bellevue, NE, passed away March 19, 2019 at Bellevue. She was born July 5, 1928 at Beatrice, NE to John and Eva (Bonsall) Jones. She married Easm William Hollens, Jr. on December 10, 1949 at Falls City. He passed away April 3, 1992. Delma was raised at Falls City and graduated Falls City High School in 1946. She started working at the age of 16 for Ernie Prosser and following graduation worked fulltime. When married the couple established their home in Falls City until moving to Elkhorn, NE in 1982 where she worked as a nursing home administrator. She retired in 1991 and following the death of her husband moved to Omaha, living there until 2013 when she moved to Bellevue to live with her daughter. Delma is survived by her son, Steven Hollens and his wife Carol of Falls City, daughters, Kathy Bauman and Lori J. Cervantes and her husband Jesse, both of Bellevue, brother, Rex Jones and his wife Virginia of Falls City, eighteen grandchildren and twenty great-grandchildren. She was preceded in death by her parents, husband, brothers, Maynard and Marvin Smith, Norval and John Jones. Her funeral will be held on Friday, March 22, 2019 at 10:30 AM at Dorr and Clark Funeral Home with Reverend Paul Weinert officiating. Interment will be in Steele Cemetery. The family will receive friends one hour prior to service at Dorr and Clark Funeral Home.